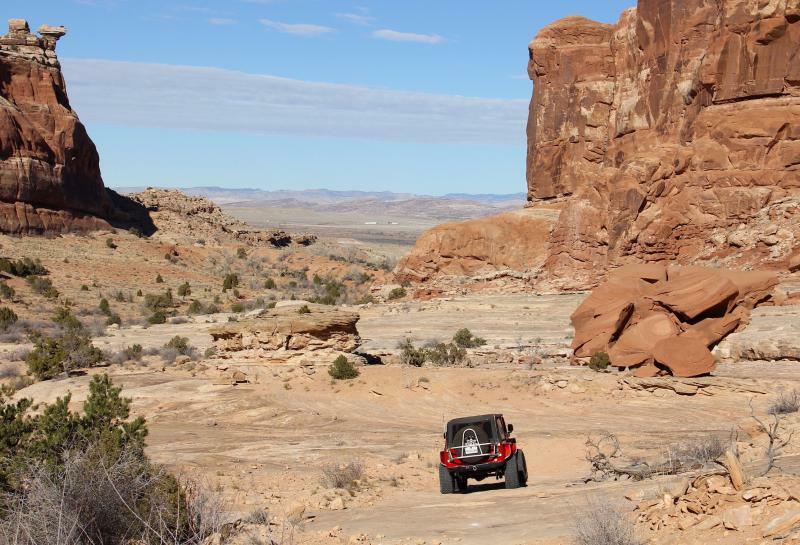 This beautiful trail visits the scenic Courthouse Pasture area northwest of Moab to provide participants with a relaxing, moderate 4 wheeling experience along with picturesque views and vistas of the beautiful reddish Entrada rock formations that are plentiful in this area. The La Sal Mountain peaks serve as a backdrop. There are many old trails in this area and this trip combines segments of them to create a pleasant and varied experience. Approximate mileage: 50 total, 25 off highway. Courthouse Rock dominates the beginning of the trip. As the day progresses Pasture Butte, Monitor and Merrimac Buttes, Determination Towers, Alien Rock, and Big Mesa are all viewed. The road surface varies but stays consistent with the trail rating. It varies from bumpy rock sections to smooth sandy washes. There are two track dirt sections, a lot of fun slickrock driving that includes some sidehill areas, then sandy creek bottoms and a lot of sandy pasture area. Sprinkled among all this variety are broken, rubbly rock sections and a few short shelves. No named obstacles have yet appeared on this trip. 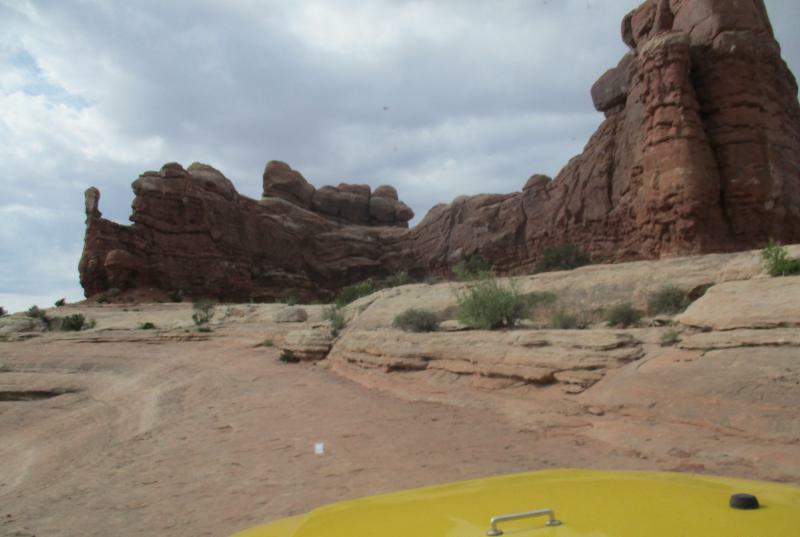 The enjoyment of viewing all the varied huge red Entrada formations blends in nicely with the moderate 4 wheeling. 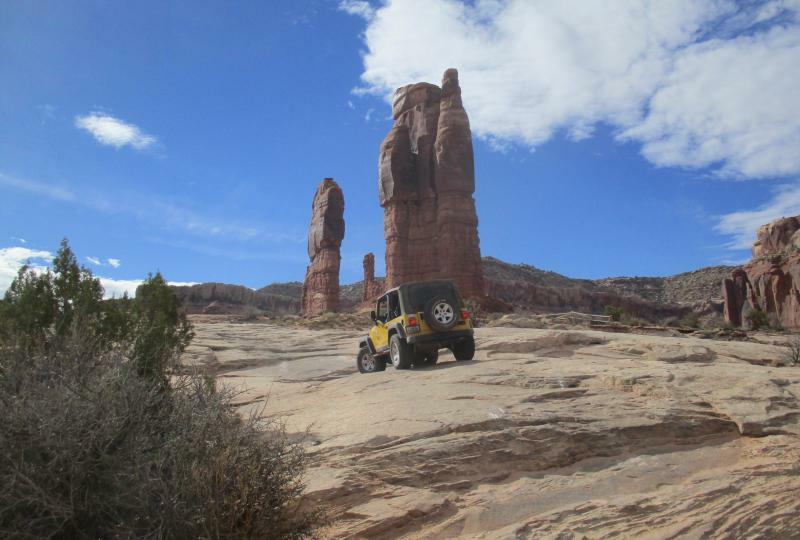 The trail offers enough jeeping to keep the driver engaged while tempting driver and passengers to turn heads and look in awe at the buttes and towers all around. 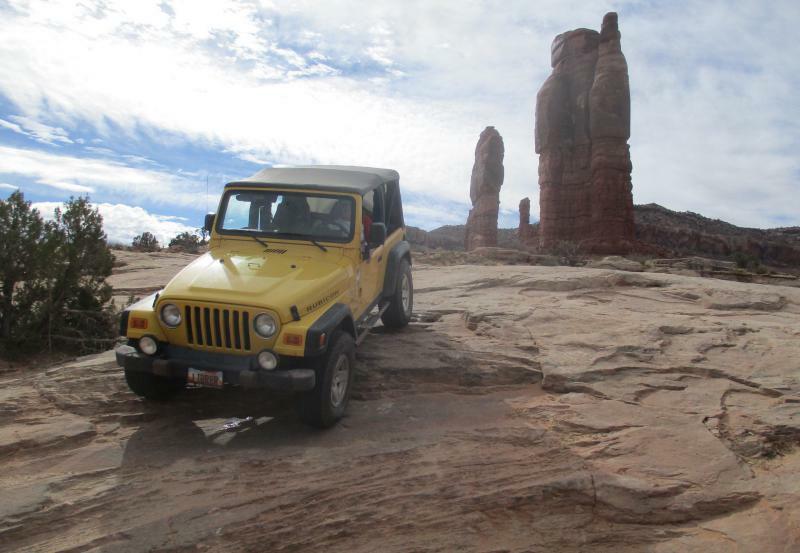 Most of the named rock buttes and towers are visited close up so participants can get a true feeling of their size. Occasional "scenic stops" along the way will allow time to contemplate and photograph the scenery. 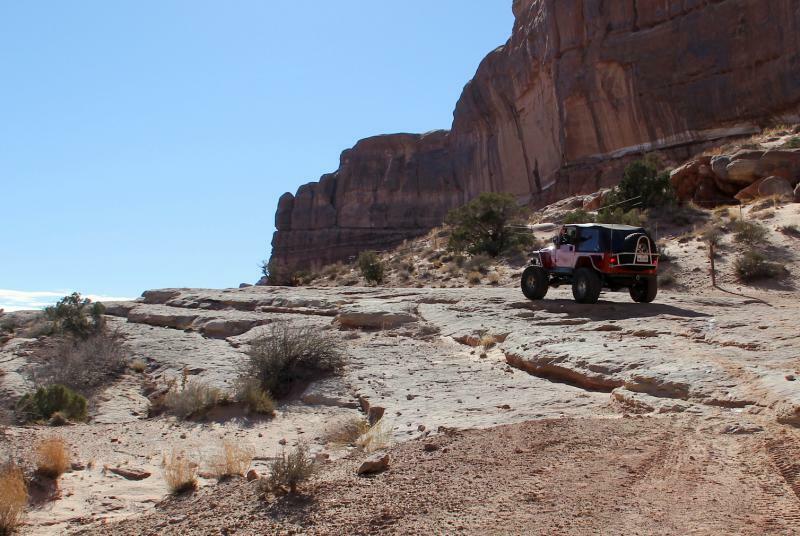 One narrow spot in Tusher Wash late in the day may test drivers of full size vehicles; others have negotiated it before, but some may prefer guided assistance when navigating this section.